Depth 34 ft. 8 in. 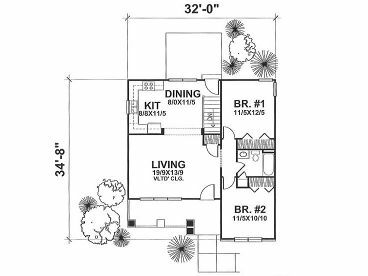 With the looks of a bungalow, Craftsman style elements dress up this Love Shack home plan. Square columns, stone accents and a shed dormer are some of this cottage’s most noticeable and stylish exterior features. 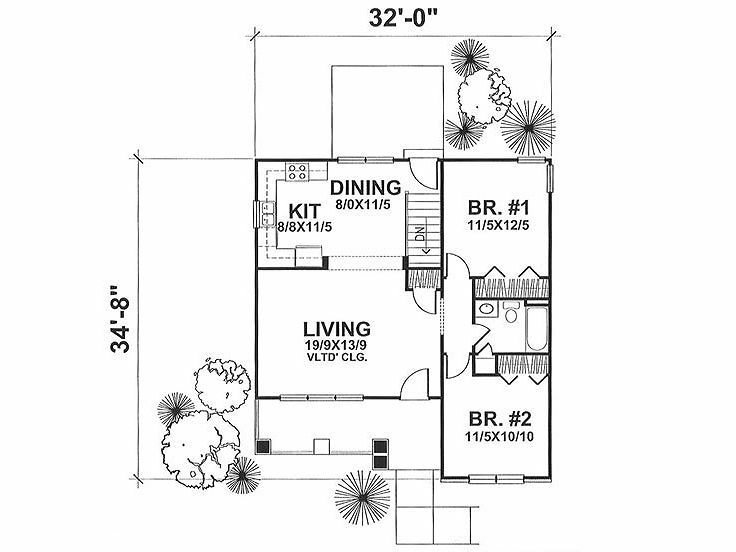 Quaint and compact, the floor plan offers just what you might expect in a vacation retreat. Natural light fills the vaulted living room as it flows into the efficient eat-in kitchen. Direct access to the rear yard makes grilling easy, perfect for lazy weekends. 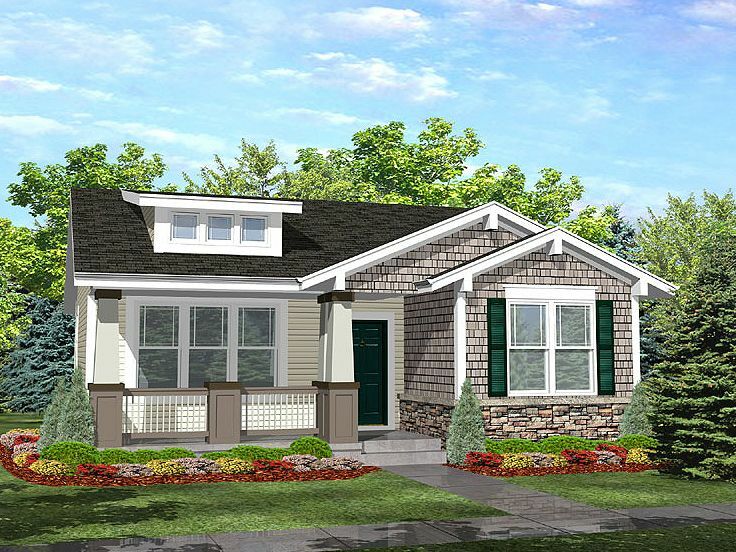 Two bedrooms share a hall bath polishing off this Arts and Crafts cottage house plan.